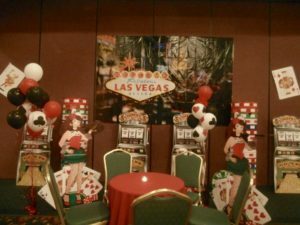 Casino Night Fundraiser – There are many fund raising event ideas available these days to fundraising committees. The challenge is to make it fun and make money at the same time. 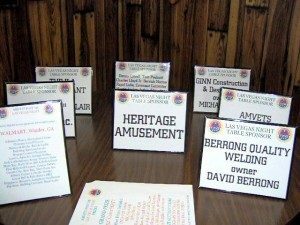 The amount raised will vary, depending on the number of attendees, ticket prices, drink prices, and other related activities at the Casino Night. I’ve seen groups raise over $30,000 in a three hour event, but it was an annual event that had a large crowd, with an established charity. 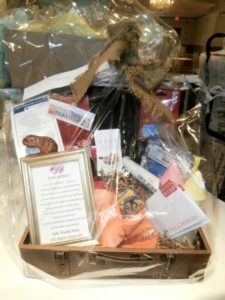 Last year, I had a veteran’s group raise $3200. the first year with about 100 attendees. This same group recently booked another Casino fundraiser, and increased the number of tables by 50%. Most groups will charge $25. to $100. per person, depending on the food, and entertainment provided. My experience is that most organizations will charge about $25., unless it’s a Black Tie event with upscale food and a live band. Groups that presell tickets will typically generate an additional 10% in profit. When tickets are presold, they are usually discounted (a $25. ticket will sell for $20. up to a week before the event). Don’t worry about the discounting; you’ll make it up in ticket sales, plus beverage profits.